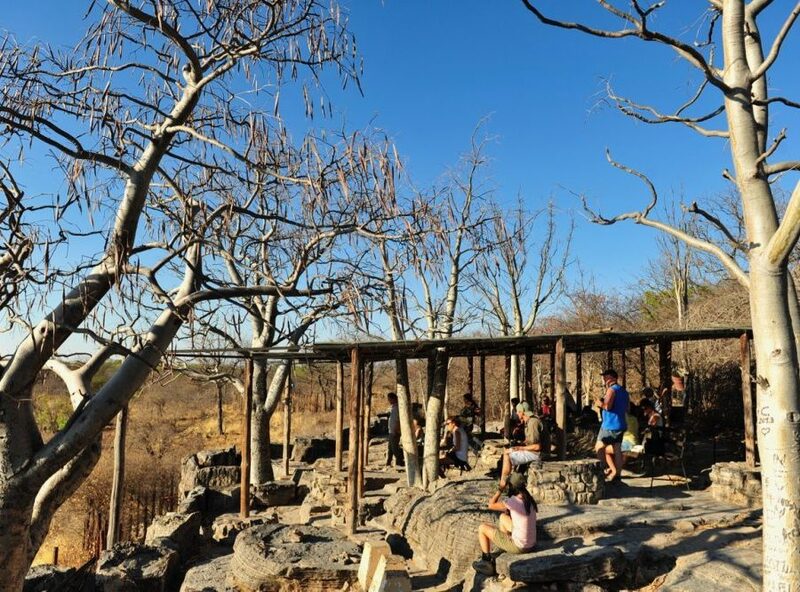 There is an infinite number of places in Namibia vying to be considered the most romantic spot in the country, but I believe the number one sign of an endorsement is an engagement. Because when you decide to pop the question – the big one – when you get down on your knees, you better be sure that the place you are kneeling in is epic enough to make her say yes without stammering. 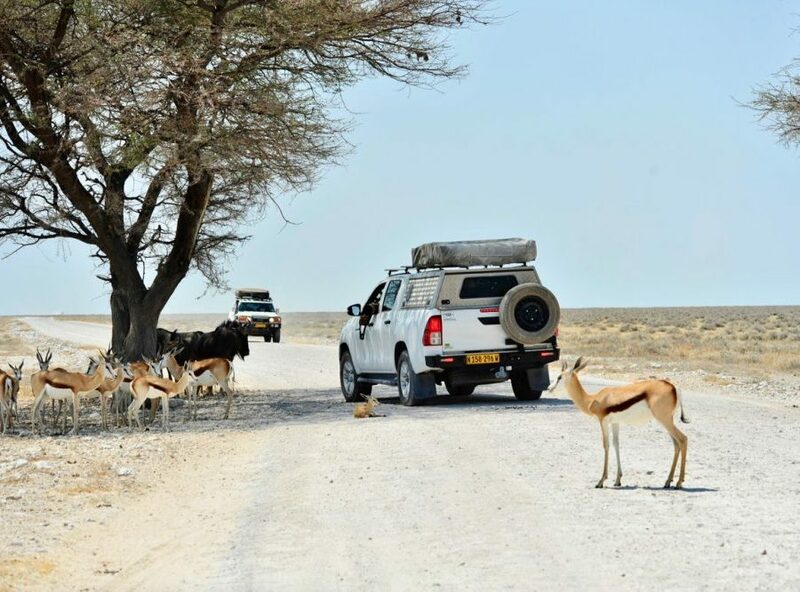 Which is why I can’t help but rate Etosha National Park as the most romantic place in Namibia. Believe me, there are many contenders; the stunning Skeleton Coast, the magical Namib, sunsets over Spreetshoogte pass. If camping is not for you, please reconsider. It’s probably one of the most romantic activities to share with your significant other. Sitting snug against each other around an intimate campfire. Those deep talks that keep going long into the night. And then, of course, the night can get quite cool in your little tent, which means you have to cuddle. Body-warmth and all that. ‘Nough said. When there’s nothing else to do, get in your car and drive around. For some reason, spending time in a car just the two of you, listening through your favourite playlist, it can be pretty fun. Plus, there are so many animals to spot, and considering that one of you might be a keen photographer, this might be the time for your first fight (“Sit still! You’re blurring my pictures!”), which is something all couples need to get out of the way. Simba and Nalla didn’t know what they were missing – the waterhole is where it’s at. Settling yourself comfortably in for an evening of game viewing at any of the resorts throughout the park, and you can bet the deep atmosphere and the crazy antics of the animals will set you up to lean in closer to your loved-one and whisper sweet nothings in their ear. Just because there is camping in the park does not mean you have to camp (if you haven’t been convinced of the merits of it from the above already then we’ll just let it go). 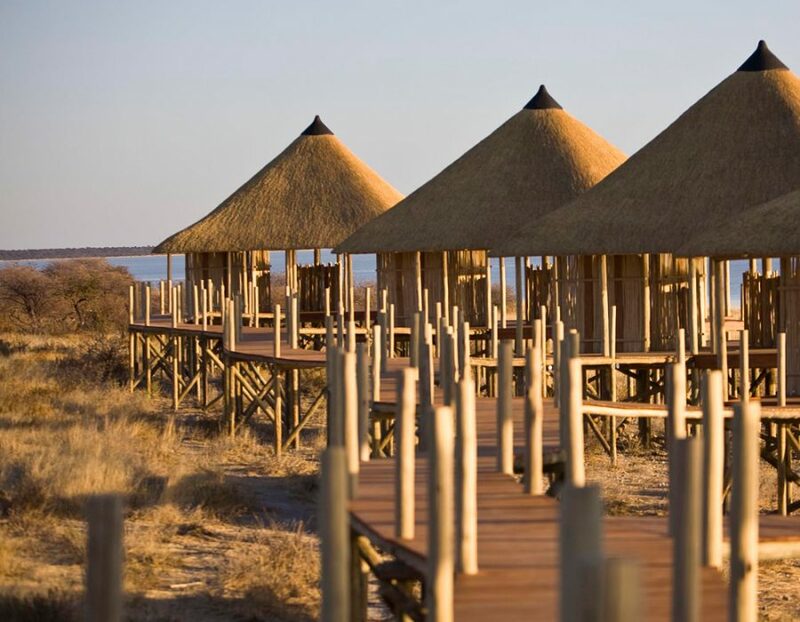 Etosha National Park not only has comfortable chalets at most of the resorts (Okaukuejo, Halali, Namutoni Resorts), but there are two luxury lodges, too, namely Dolomite and Onkoshi, located on opposite ends of the park. 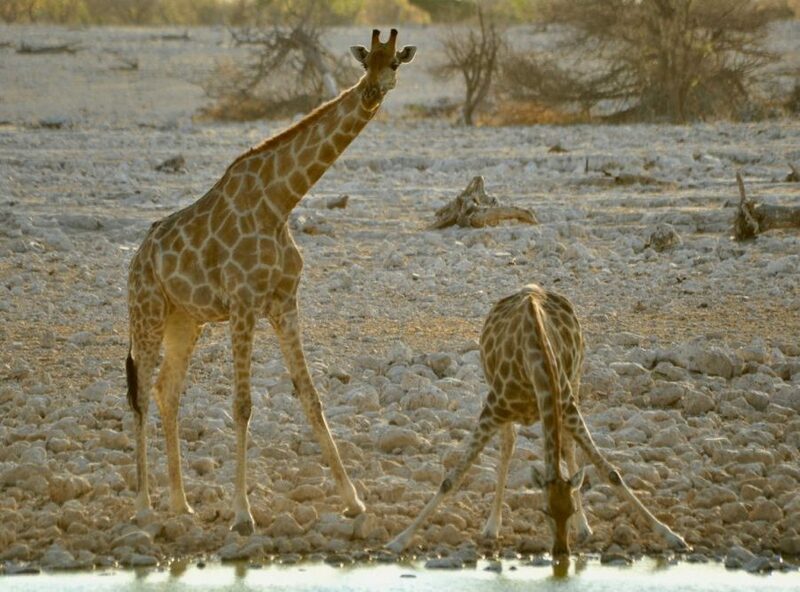 There is really no reason you can’t be your comfortable and ultra-lovable self in Etosha. Pour a glass of champagne, kick back and enjoy the views. This story was published February 2019.